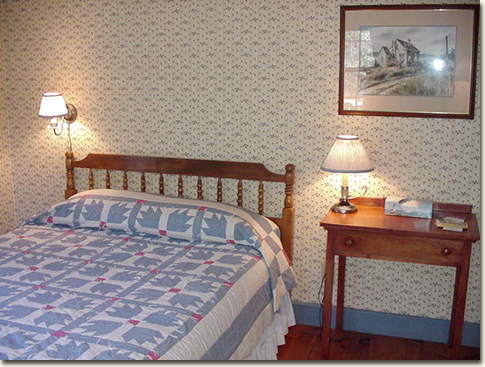 This room features a queen sized bed with a bear paw or dove in the window pattern quilt. Suzy made this quilt after reading that Laura Ingalls Wilder, author of Little House on the Prairie, had made a quilt of this pattern as a child. 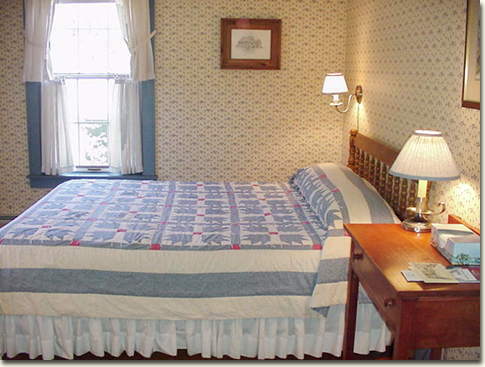 This is a lower bed. There is room in the Queen Bedroom for a single roll away if parents would like to keep their child close to them.